Building a business is difficult. You have to start with sales. Then you have customers to keep happy. Of course, there’s also door reign and taxes to think about. Getting through the struggle alone is tough. There is a better way: join an association. Discover five ways to grid your business by participating in an association. Associations are a powerful form of levers for your business. However, a lever dies nothing’s t you apply force to it. Likewise, an association will only you grow if you put effort in first. The good news for you is that you earn significant benefit with just a few hours per month of effort. You can also grow your career as an individual by joining an association. Building a business means face g rejection and disappointment. An expensive marketing program may fail to generate leads. A business partner may walk away from the business suddenly and without warning. Fortunately, an association can help with such frustrations. 1. Ask to meet with one of the association’s leaders and learn their story. 2. Find a business owner who has recently won an award from an association and ask them out to lunch. 3. Ask for business book recommendations (eg. “Permission Marketing” by Seth Godin is a classic marketing book everyone can benefit from reading). A successful joint venture is one of the fastest ways to grow a business. However, a mutually beneficial venture takes time and trust. The fastest way to build trust is through live interaction. Business associations are the best way to seek out entrepreneurs and other professionals interested in new opportunities and ideas to grow their business. The best approach is to seek out a non-competitor and complimentary offer. If you offer wedding photography services, a good partner could be an event venue such as a large restaurant. You could make an arrangement to share revenue on joint projects for a specific period of time (i.e. a revenue share for May 1 to August 31). As with any relationship, start by getting to know the other person before proposing an involved relationship. 1. Make it easy to say yes. Be clear about the benefits your partner will receive (i.e. 10% commission on sales). 2. Reduce risk by using a third party. There are plenty of ways that joint ventures can fail. You can reduce the risk of fairs by using escrow or an affiliate program. 3. Start with a short time period. You are more likely to get a yes if you make a small request first. Propose a joint venture for a month to get started. After the month is over, you can both meet to review the results. Positioning yourself as an expert gives your business enhanced credibility and protection from competitors. Experts usually have no concerns with price shopping customers. Instead, a well-positioned expert generally has a waiting list of customers waiting to do business with them. That leaves just one question – how do you gain expert status? Continuing articles, papers and presentations to a business association is one of the fastest ways to become an expert. Most associations have a monthly or annual newsletter: this is a great starting point to contribute. Read two issues of the newsletter to gain an understanding for the publication’s style (e.g. tone of voice, article length and typical subjects covered). Next, contact the editor and suggest an idea. 1. Contribute one article a month for six months on a variety of topics. In the author bio section, include your photo and a link to your website. 2. Interview authors and consultants in your industry and write up your notes into articles. 3. Explain the basics of a skill. Teaching people a valuable skill demonstrates your knowledge and shows that you are helpful. Remember to write for the beginner in mind. There are associations for nearly every industry you can think of. Here are some examples to get you started. Where possible, seek out an association that has in person meetings in your area. 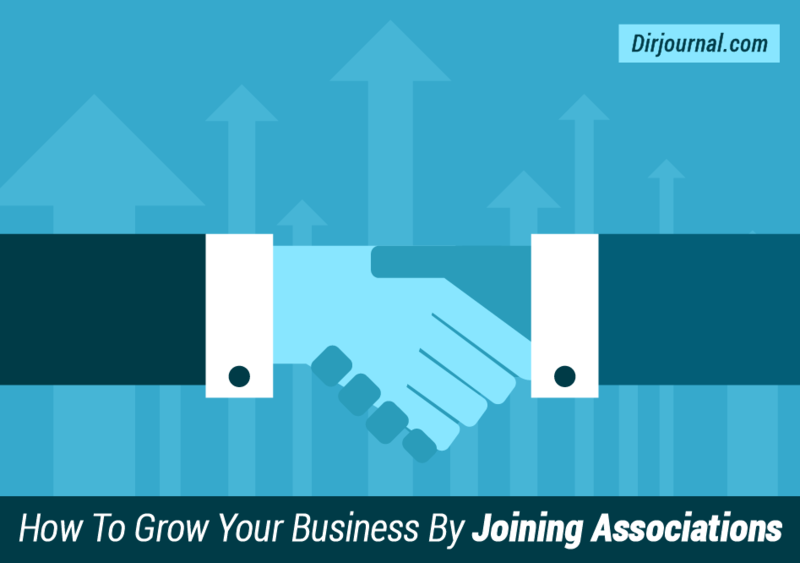 Get started today by joining an association! Bruce Harpham writes about project management, business and productivity at Project Management Hacks. Get a free copy of the Career Advancement Toolkit by joining the Project Management Hacks email newsletter – discover how to earn more money and get ahead at work.